Easily organize your ammo cans! Tired of your mags bouncing around inside your ammo cans? 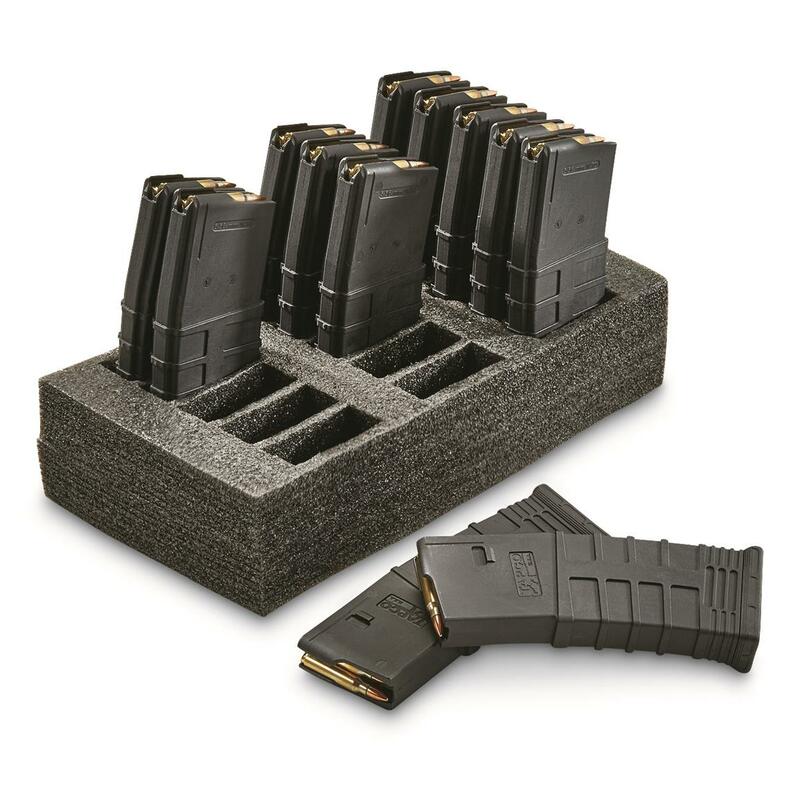 Get a couple of these Mag Holder Ammo Can Foam Insert. They're pre-cut to hold fifteen 30-rd. .223 mags. Great way to turn an ordinary ammo can into a highly organized system to store and transport ammo. Mags not included. Each divider is 1 1/8" x 2 5/8"
Overall dimensions are 13" l. x 7.25" w. x 3 1/8" d.
Divider Dimensions: 1 1/8" x 2 5/8"
Overall Dimensions: 13" l. x 7 1/4" w. x 3 1/8" d.
HQ ISSUE Mag Holder Ammo Can Foam Insert is rated 2.7 out of 5 by 3. Rated 1 out of 5 by vonlonster from Needs work Don't waste your money. The dividers of this product are very flimsy and do not stand up to long time use. 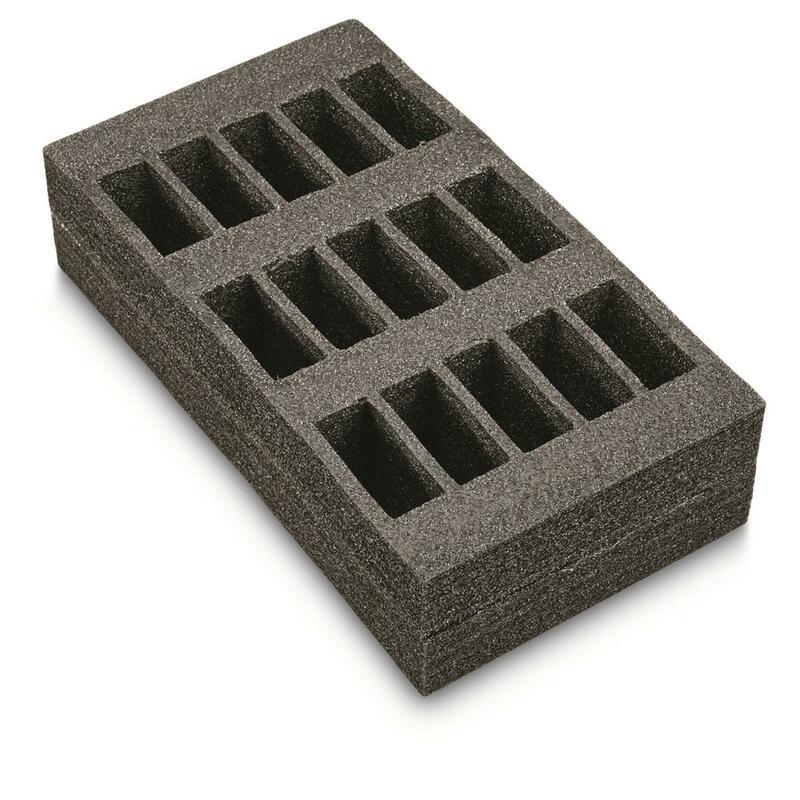 Buy an MTM and get the right foam divider. Rated 3 out of 5 by Manyskunks1 from Dos NOT fit ANY standard ammo can! These are very well made as the other review stated and will fit as stated EXCEPT they don't fit the plastic or polymer cans, either!THAT is what I bought them for!They MAY fit FAT 50 cans, I'd have to check the dimensions but, I have about 40 cans that they won't fit and NONE that they do! I ordered 2 and now, I don't really know what to do with them!IF the FAT 59 cans will for them, I guess I'll have to get 2 more cans JUST to fit these!WHY would anyone make a product that doesn't fit ANY of the standard cans that EVERYBODY has??? Rated 4 out of 5 by BillSTL from Really convenient My first mistake was not reading the dimension. 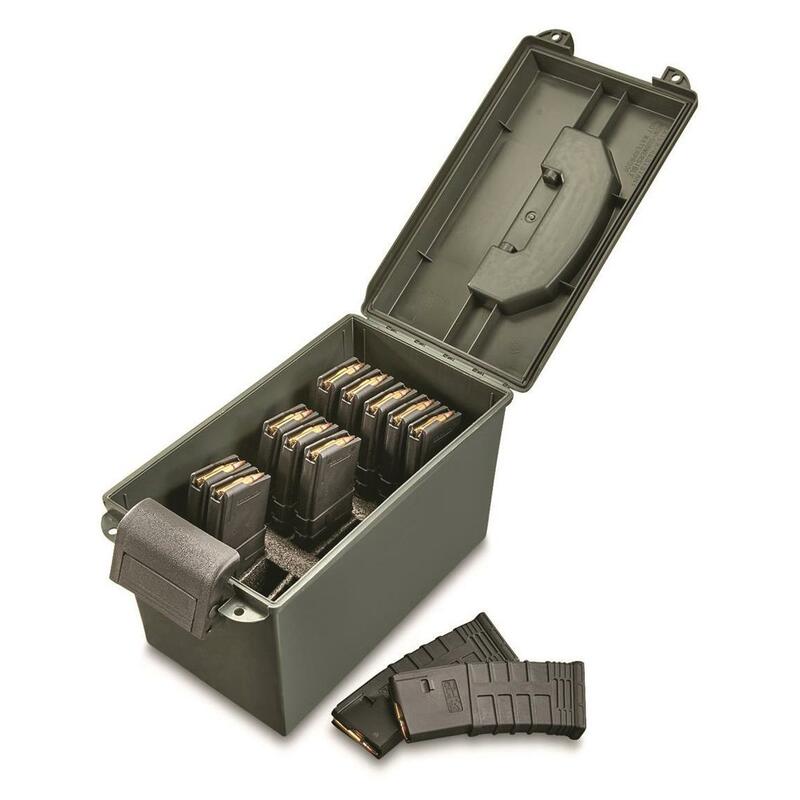 This does NOT fit the standard military metal 50-cal ammo can - it DOES fit the larger plastic ammo boxes.Fit and finish are perfect. Mags can be inserted bullets down or up and bullets towards the latch or hinge.Decent enough that I'll probably buy another for my other plastic 50-cal ammo can.